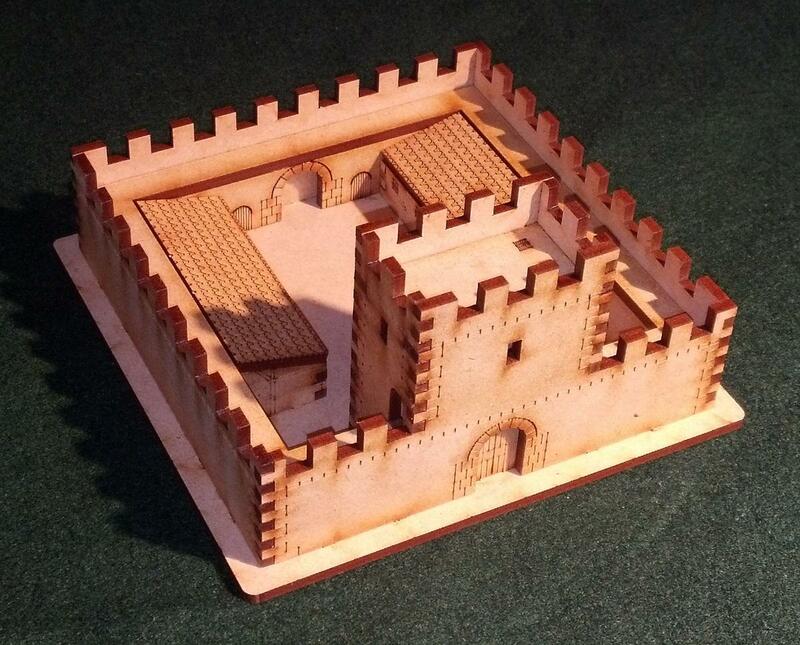 This model is designed especially for use as a BUA with the De Bellis Antiquitatis (DBA rules). 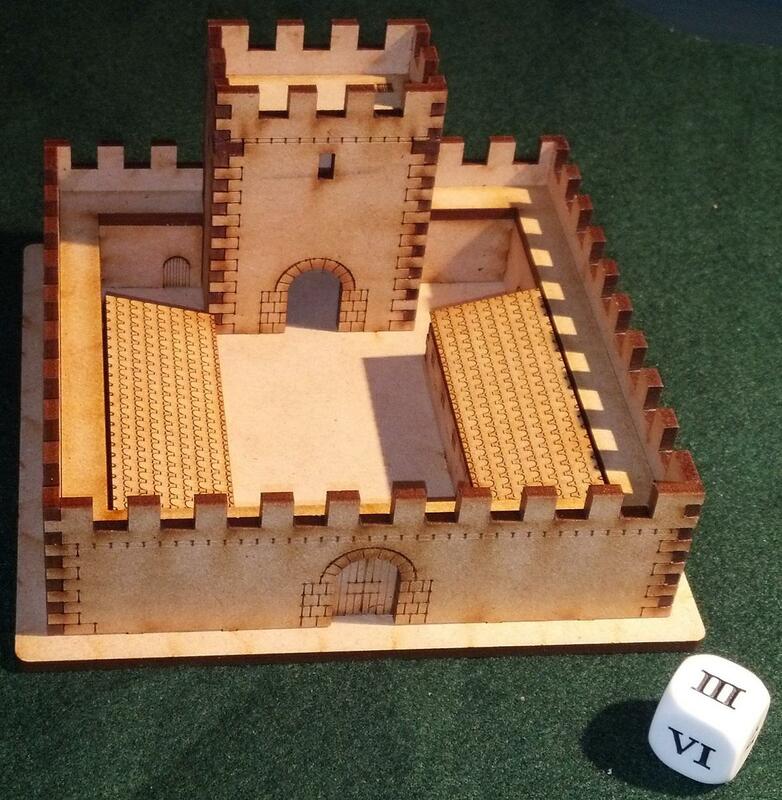 It has space for up to a 40mm x 40mm element in the courtyard, or a 40mm x 20mm element on the tower, if you prefer. It is compatible with DBA 2.1, and DBA 3.0 (as a City or Fort). It measures 132mm x 132mm (i.e. length + width <9 BW, as required by the rules), and 66mm to the top of the tower. 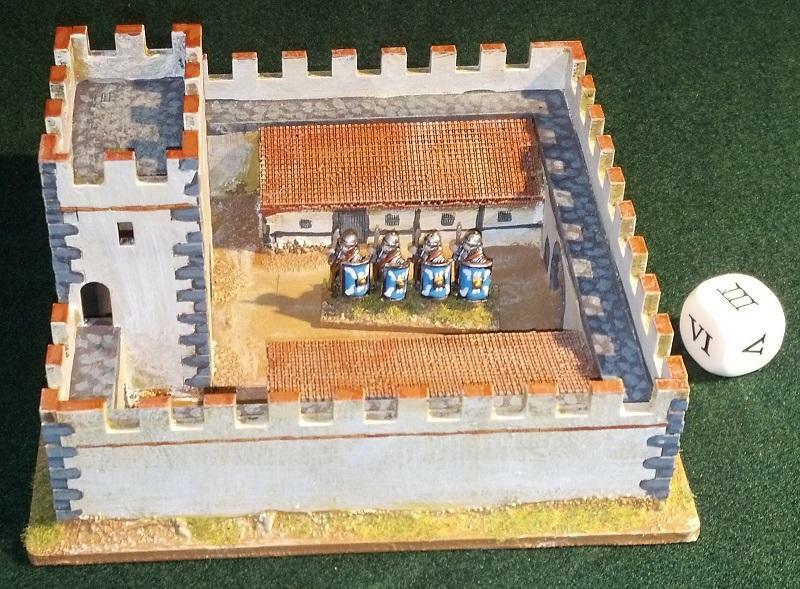 The model is based on the mile forts on Hadrian's Wall, but likely to be found in any corner of the Roman Empire. 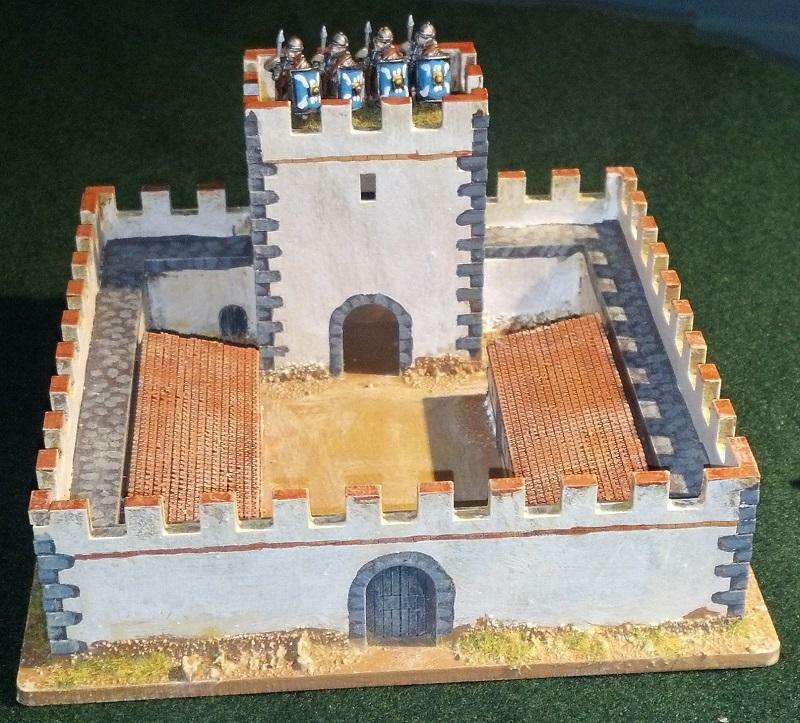 These forts served as barracks, observation and customs posts, and while built with defense in mind, were not intended to be fighting platforms, unlike later medieval castles. 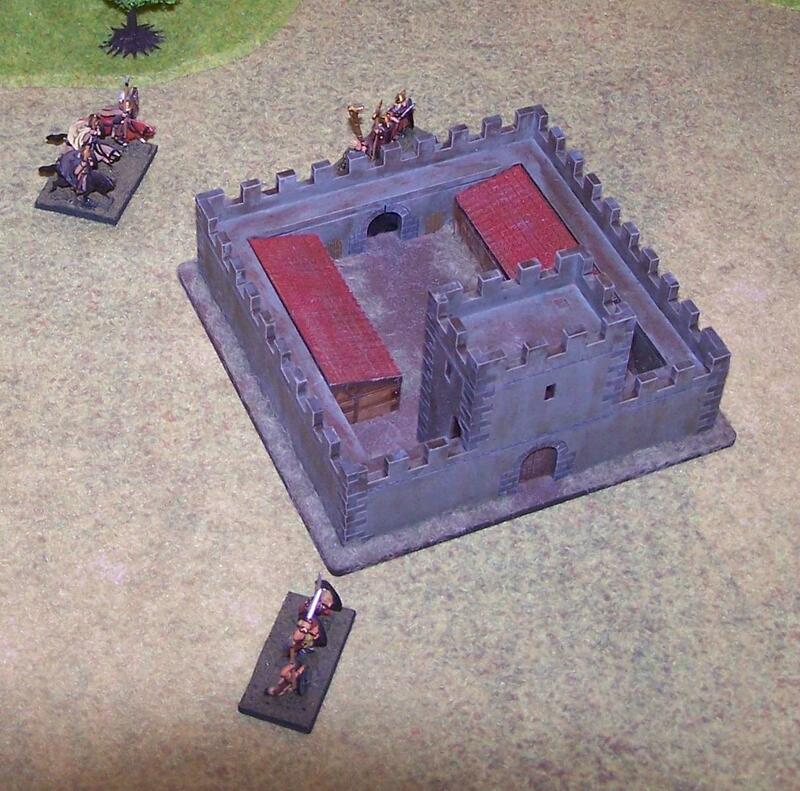 If attacked the garrison would prefer to sally forth to engage the enemy in the open field, even if outnumbered. 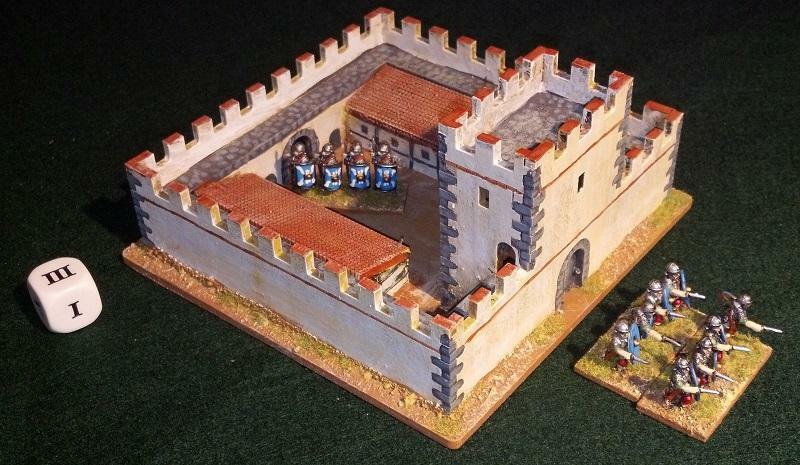 Suitable for Republican, Early/Middle/Late Imperial Roman armies, as well as their contemporary enemies in the East. 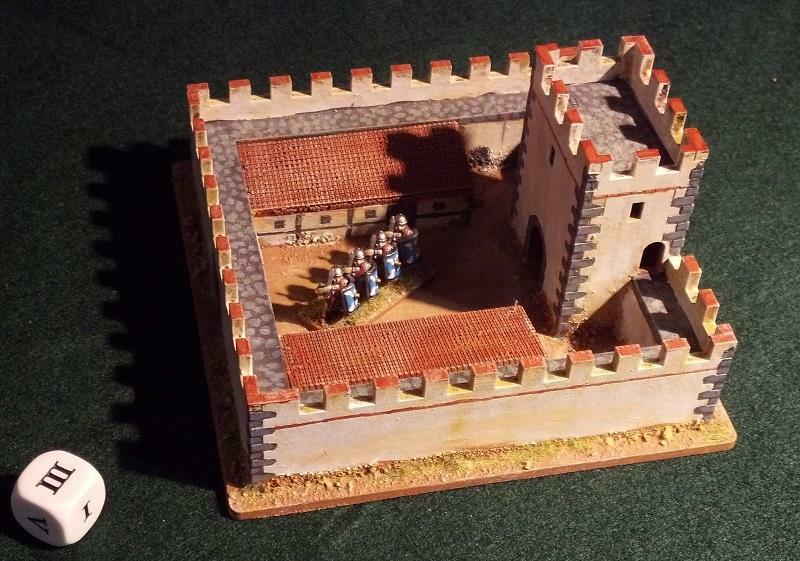 Also possible for late Hellenistic armies, and early Byzantines. 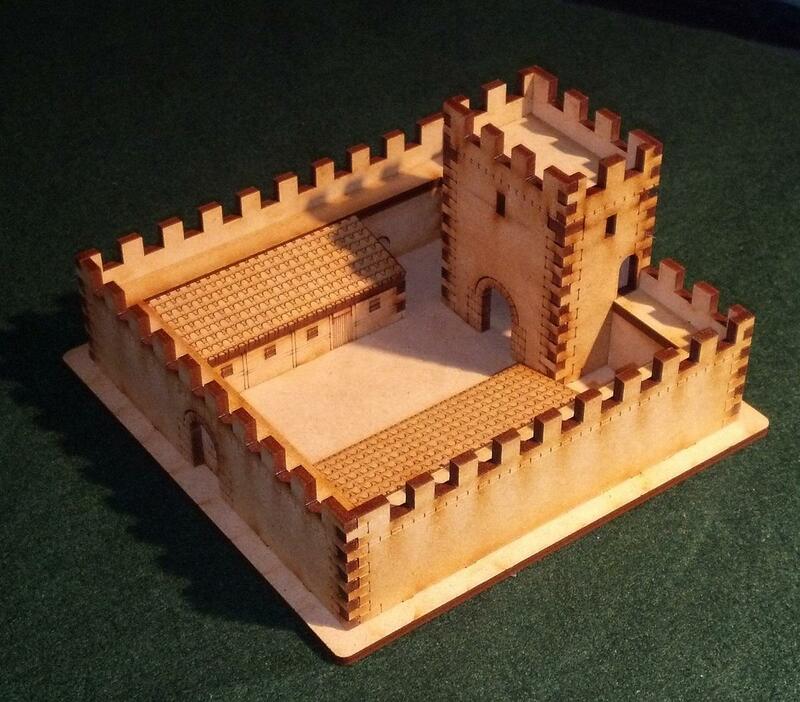 Model is supplied UNASSEMBLED, and UNPAINTED. Assembly instructions are included, and we are available for tips and advice if needed. We recommend undercoating with spray paint before painting with water-based (acrylic) paint. Ordering only one of these? If your total order (including packaging), weighs in at less than 500g, it can be sent at the a discounted shipping rate: choose the SAL <500g shipping option at checkout.